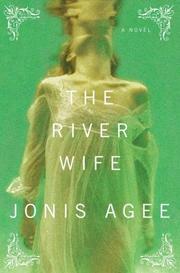 A catfish stew of a novel from Agee (The Weight of Dreams, 1999, etc. ), covering three generations of a Missouri farming family that can’t shake its river pirate roots. In 1930, Hedie Rails marries charming spendthrift Clement Ducharme and moves to his farm at Jacques’ Landing. Desperate for money to keep the farm afloat, Clement disappears frequently on probably criminal business. Left behind, pregnant and lonely, Hedie finds a journal—a too obviously artificial literary device—that tells the Ducharme family history. In 1811, river pirate Jacques Ducharme saves Annie Lark’s life after an earthquake leaves her crippled. They marry but their early passion withers when Jacques’ vicious dogs kill their child in a horrifying scene. Annie dies in a flood. Jacques’ main cohort and confidante becomes Omah, the daughter of freed slaves. After the Civil War, Jacques murders his second wife, Laura, who has proved herself both unfaithful and greedy. Omah helps him raise Laura’s daughter, Little Maddie, the novel’s one lovable character. When Jacques finally dies, his will requires that Little Maddie remain celibate if she wants to keep the farm. Instead, after a 13-year love affair, she uses a horse to bribe her way into getting both farm and marriage, then dies two years later. Her son is Clement. He squanders Hedie’s love with his unquenchable lust for money, and possibly other women. After Hedie miscarries their first child, she befriends the black couple down the road whose daughter, Omah’s granddaughter, India, becomes Clement’s apparent lover. Then Hedie, again pregnant, finds Clement shot in the front seat of his car with India dead in the back. She follows his dying orders to bury him in quicksand so she can keep Jacques’ Landing and raise the next Ducharme generation. Despite fevered descriptions and various half-developed characters meandering down plot paths leading nowhere, the violence-spiked romance upon violence-spiked romance becomes addictive.